As part of the annual Adelaide Fringe Festival the Brewster Brothers will be performing an entire evening of songs penned by John Brewster’s childhood music hero Bob Dylan. Held on Saturday February 24th in Showroom One at the GC bar in the heart of Adelaide this intimate surrounding is ideal for anyone who loves Dylan’s music or simply a great night of classic songs played by seasoned professionals. 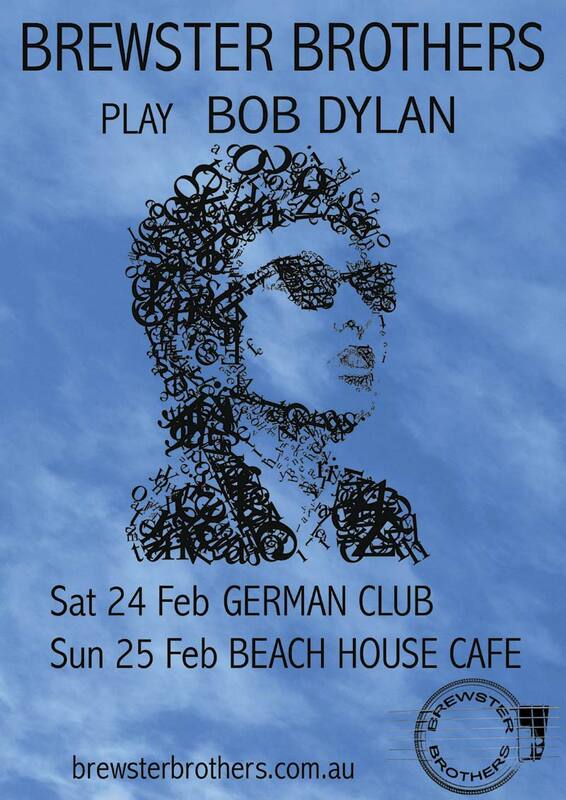 Following on the next day, Sunday February 25th, you can catch Rick & John when they play Bob Dylan at a casual afternoon show down the coast in The Beach House Cafe at beautiful Victor Harbour.